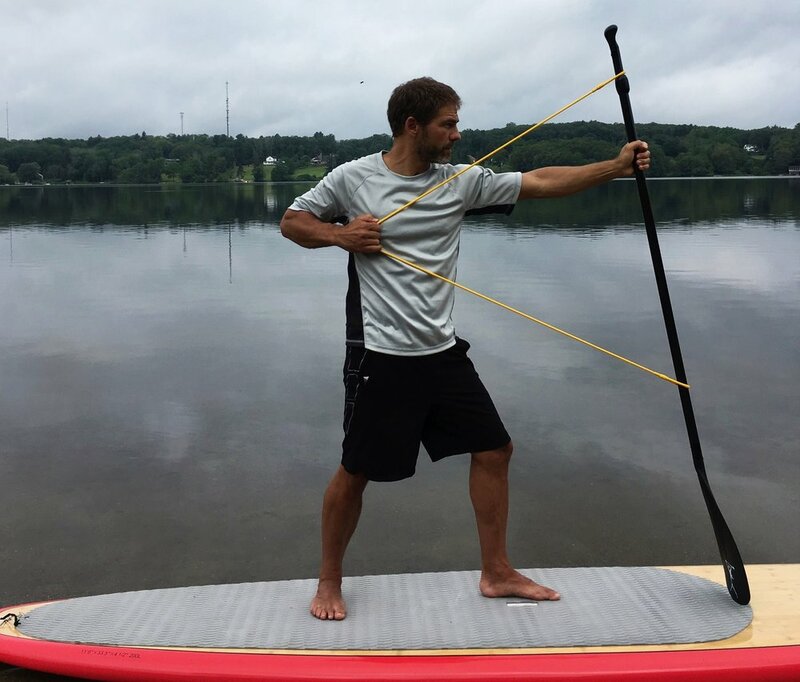 The only exercise resistance bands designed for use on a standup paddleboard (SUP) with your SUP paddle. If you're already doing SUP yoga, SUP pilates, or other SUP fitness workouts, Suploops will dramatically expand your workout options. No band attachment points required! TONE YOUR BODY - Studies have shown resistance bands are superior for muscle toning and fat reduction, compared to other forms of resistance training. And they are generally regarded to have lower joint/tendon injury rates than free weights or machines. BURN MORE CALORIES - Every exercise you do will engage muscles throughout your entire body to maintain equilibrium on the dynamic surface of the SUP. You'll also have more isometric engagement using your own body as the band anchor point. More muscle firing equals more calories burned. 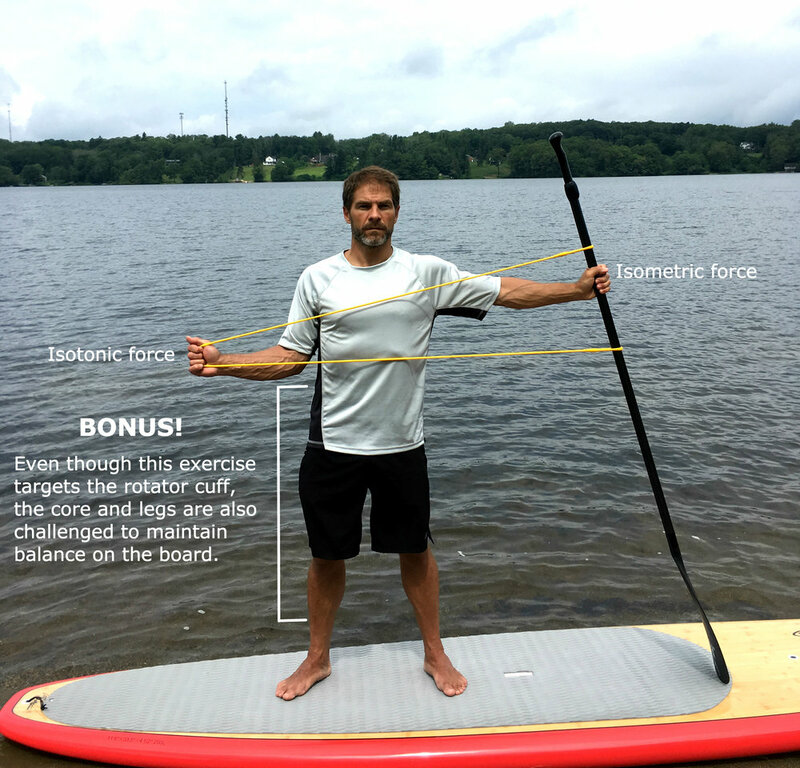 STABILIZE YOUR BODY - The many stabilizer muscles that help primary muscles move safely, and the proprioceptors critical to balance and coordination, all have to work harder to maintain equilibrium on the dynamic surface of the SUP. Think of it as preventative medicine for falls, sprains, and muscle strains. Now on sale on Amazon $29.95 + Free shipping with Prime!